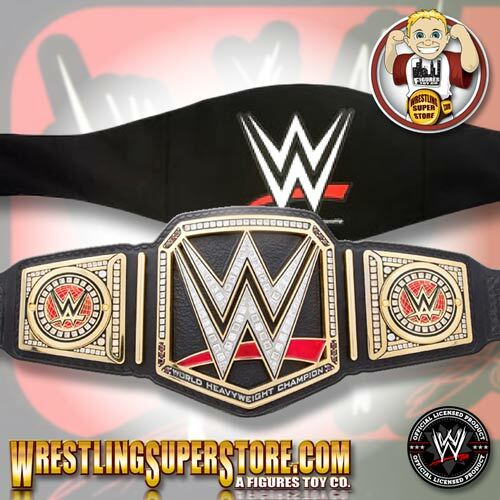 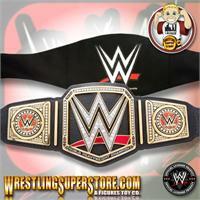 Introducing the NEW WWE World Heavyweight Championship Adult Size Replica Belt! 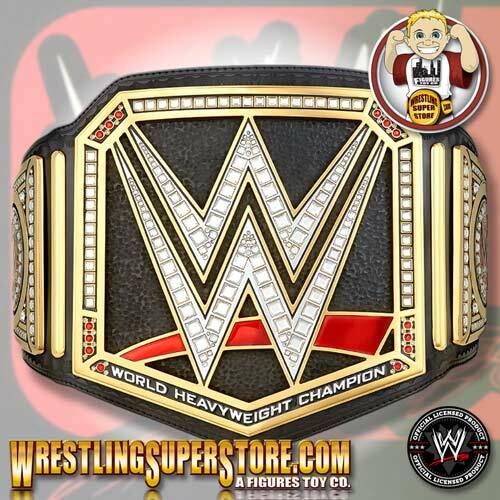 On the RAW after SummerSlam 2014, newly crowned WWE World Heavyweight Champion Brock Lesnar introduced this updated title belt design. 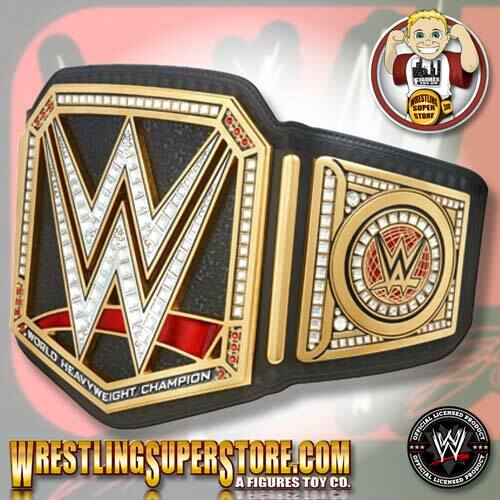 This Official Replica version is created from a mold of the title seen on TV. 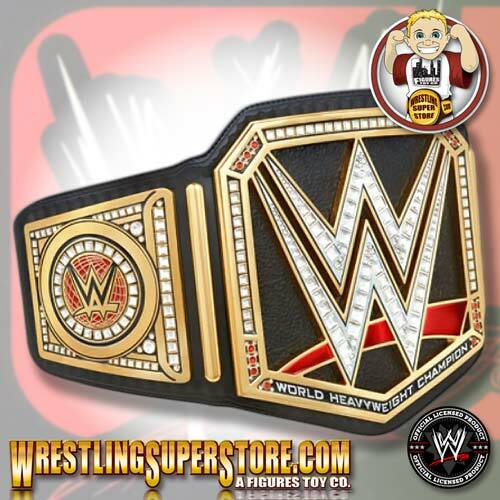 Front metal plate made of zinc alloy - 10.12" x 10.16"
Side metal plates made of zinc alloy - 5.51" x 5.94"